How geeked out am I? I just registered my own domain name…. 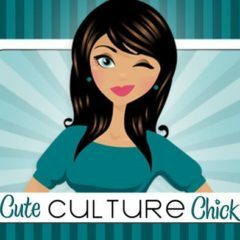 www.cuteculturechick.com ! If you try to access it through the Blogspot address, it’ll still work. But this addy is a lot easier for people to remember. I figured as an international blogging rockstar, I should fork out the $10 to show up on Google. Why am I the dicount shopping ROCKSTAR?